Adding automatic region sorting to Playerunknown’s Battlegrounds was supposed to solve the problem of jerks disrupting games by connecting to distant servers where they’d lag around with high pings. In reality, last week’s update caused more problems. Players could find themselves sorted–and locked–onto servers that clearly weren’t in their local region, and in laggy games with folks thrown in from all around the world. Not the best. Developers PUBG Corp today admitted that yeah, they muffed it up, and say they’re trying to fix it. A partial supposed fix has already gone live, and the full fix is due to be in place next week. Deary me. 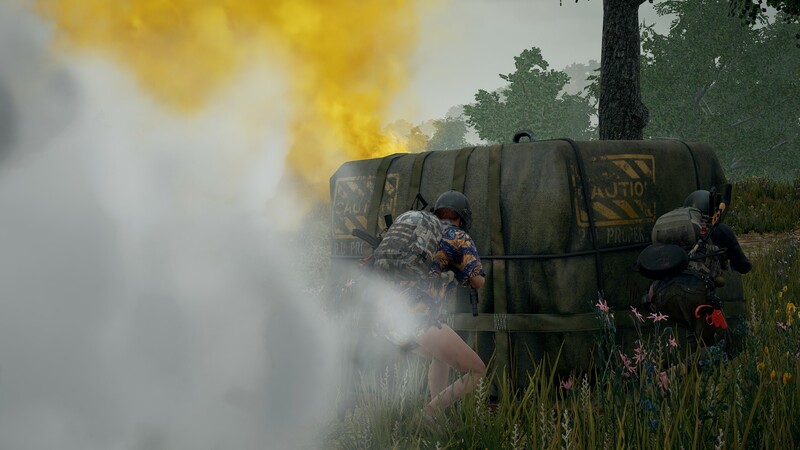 “The improved system is intended to automatically send players to the region that provides the lowest ping, but unfortunately an error related to ping calculation occurred and the player’s location wasn’t being identified correctly, resulting in them being placed into matches in a region that didn’t provide the optimal gameplay experience,” PUBG Corp said in today’s statement. They say they have already put live “an initial fix to prevent players from connecting to the wrong local region”, and they expect to fix the remaining issues next week. One change planned is having the matchmaking for filling squads pick squadmates who speak the same language. The autosorting system is also supposed to be kind to players in less-populated regions. “In the event of excessive queue times due to a small matchmaking pool, the next closest region will be chosen to ensure players aren’t stuck matchmaking indefinitely,” the devs explain. Region-locking has long been requested by vocal players to help clear out cheaters and laggers, with Chinese players in particular being scapegoated for the game’s troubles. I don’t think region-locking is the panacea some would suggest (nor that it is all down to China), but I do welcome automatic sorting to help cut out laggy distant players. If the system works properly. Which it doesn’t yet. The FIX PLUNKBAT campaign continues. PUBG Corp are also once again testing adding flare guns as a regular drop. As seen in the Metal Rain event mode (though not as common a drop as they were in there), they can call in an armoured vehicle or an extra-large supply drop. They’re again being tested in a short event mode, which is live until the wee hours of Sunday. “We’ve looked at your feedback from the last round, but want to gather a little more data before we pull the trigger on any changes or deploy the item to live,” they say.